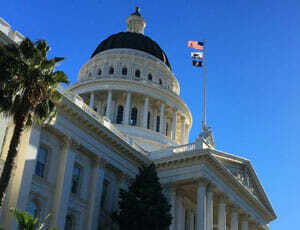 The California Council on Science and Technology (CCST) will receive $350,000 from the State of California in the 2018 state budget for the expressed purpose of sustaining the CCST Science & Technology Policy Fellowship Program, which trains PhD scientists and engineers to serve as policy analysts in the California State Legislature. The budget line is a welcome boost to the CCST Science Fellows program’s financial stability. Since the inception of the fellowship in 2009, CCST has pooled diverse philanthropic funds to establish and sustain this important program. Each year, CCST raises $1.3 million from family foundations and charitable individuals to fund the incoming class of CCST Science Fellows, covering stipends, benefits, and professional development. 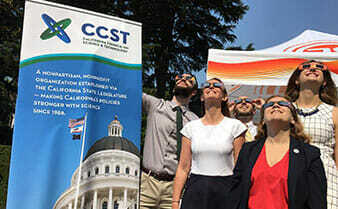 The new funding highlights the value that CCST Science Fellows bring to the State of California. It further strengthens existing public-private partnerships for the program’s long-term sustainability – and will help with evaluating the potential for expanding the fellowship into the Executive Branch. 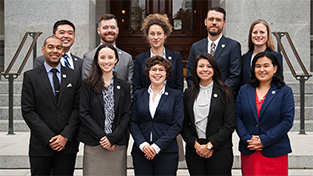 Through the CCST Science Fellows program, California has had a steady pipeline of policy-savvy PhD- level experts trained and ready to serve as legislative staff for the past 10 years. Led by the Gordon and Betty Moore Foundation, charitable organizations and individuals have donated more than $12 million to support the fellowship over the years. 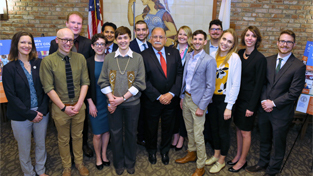 Nearly 90 PhD scientists and engineers have spent year-long fellowships working in State Senate or State Assembly offices, and more than 50 percent of fellowship alumni have been hired into the Capitol or at agencies to continue their service to the State. Expanding the fellowship into the Executive Branch would replicate the program’s success and service to the Legislature for other senior leaders and decision-makers. CCST will welcome its 10th Class of CCST Science Fellows in November 2018.